Dr. George Sich, III, a specialist in surgical and nonsurgical treatment of foot disorders, will be bringing his surgical expertise to Edgefield County Hospital. He can treat a number of disorders of the foot and toes, including hammertoes and pain in the ball of the foot, as well as proper shoe fitting and diabetic foot care. Originally from Ohio, in 1994 he received his undergraduate degree in mechanical engineering and premed at Cincinnati College of Engineering. He also was commissioned in the U.S. Army there. He earned his Doctor of Podiatric Medicine in 1998 from Dr. William M. Scholl College of Podiatric Medicine, part of the Chicago Medical School. 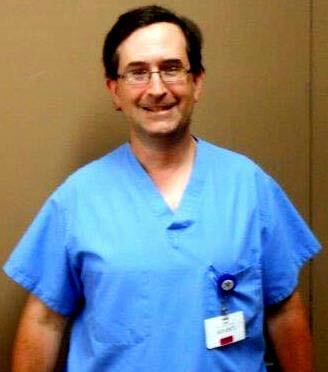 He completed a podiatric medical and surgical residency at St. Luke’s Hospital in Allentown/Bethlehem, Pennsylvania. He went on active duty with the Army after his residency, serving in Texas and Georgia as podiatric surgeon. Sich is a diplomat of the American Board of Foot and Ankle Surgery and is board certified. He admits and does surgery at Aiken Regional Medical Centers and Edgefield County Hospital.